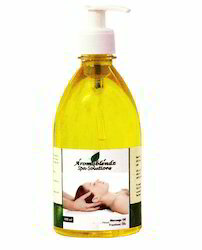 Aromablendz offers Premium, Economy & Natural (Parlour range) body & hair massage oils to suit your budget & requirement. It is a state of mental and physical wellness with physiological alteration of various systems aided by release of endorphins and perceive by overall reduction of stress. A lot of factors are responsible when it comes to achieving relaxation. Most important is when our senses are put to play. The sense of touch and smell will achieve relaxation at a physical and mental plane. A scientific massage with the right pressure and speed focusing at the toxin removal at a cellular level aided by a perfect concoction of oil with the right aroma for elevating the mental faculty. Our blend is a perfect combination of both. With a base of Sweet almond mixed with Jojoba the base temperature is close to human body temperature which ensures quick and efficient uptake of the oil into the skin. The soothing effects of lavender and sandalwood ensure a perfect relaxation. Geranium is also added in a perfect therapeutic ratio which gives it an additional boost in managing aches and pains caused due to build up of toxins and activity. Lastly the addition of aloe vera extracts help in moisturizing the skin and induces a feeling of tightening at the surface level. Sweet Almond, Jojoba, Nut oil base, French Lavender, Geranium and Aloe vera extracts along with Protein bonding skin tightening collagen pre cursers. The oil is a perfect combination of two superior base oils which ensure fast uptake of the oil into the skin. French lavender oil known for its properties of relaxing and sedating, along the universal healer the French lavender. The combination ensures a complete stress at the mental plane. Geranium extracts and aloe vera work on the physical aspect by managing pain along with protein bonding precursors which assist in creating a tightening effect. There are no contra indications for this product. 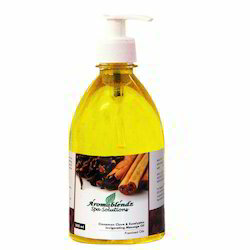 Premium blend of Massage Oil available in different fragrences of Rose, Sandalwood & Jasmine. The blend is a perfect combination of Sweet almond & Jojoba maintaining the base temperature close to human body temperature which ensures quick and efficient uptake of the oil into the skin. The soothing effects of Sandalwood ensure a perfect relaxation. 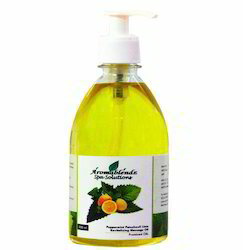 Sweet Almond, Jojoba, Nut oil base, Aloevera, Vit E, Vit A & Essential Oils. Avoid Rose & Jasmine during pregnancy & open areas on the skin. 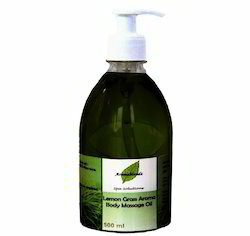 Lemon grass is well known for its healing & immunity boosting qualities. Some part of the plant is almost omnipresent in most herbal medicines & its leaves are used all over the word in morning tea. 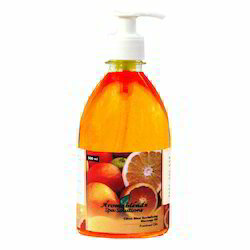 It has a strong fragrance & invigorating properties. Massage with firm strokes all over the body. The base oil is prepared from a selective blend of Olive, Almond, Corn & Aloevera Extracts. Olive has strong muscle relaxant & cell rejuvenation properties. Almond with high retenol is an excellent for skin nourishment. Corn with high protein content provides excellent anti ageing properties & Aloevera being an excellent moisturizer. To sum it all, the product has a very unique identity to match up to the holistic treatments in your plush spa & best suited for mixing Essential oils of your choice. A subtle blend for moderate muscle aches and soreness caused due to activity. Its muscle penetrating property and anabolic action helps in recovery of muscle tissue. This is a very effective blend when used while executing Swedish massage or an Ayurvedic massage for rejuvenation and realigning of the elements of the body. It helps to reduce fatigue caused due to aching muscles and soreness. Oil extracts of Oil nilgiri, Oil Sugandhi Toorna, Oil Lavanga, Peppermint Phool, Chinak in the base of nut extracts (mineral oil) Oil devdaru, Olive oil and winter green oil. This oil is not an anabolic substance, avoid oral consumption. Use & Benefits: Excellent in relieving stress & promoting mental wellbeing. Method of Application: Gently massage all over the body using alternating firm & soft strokes. 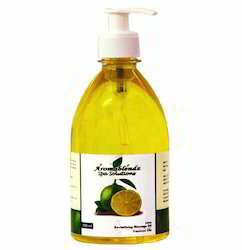 Use & Benefits: Lime is a rich in Vit C. It is stimulating as well as nourishing. Alternate application of oils in the revitalizing range can break the monotinity & will keep the client coming back for more. Method of Application Massage all over the body using alternating firm & soft strokes. Ingredients: Olive, Safflower, Corn, Lime, Aloe Vera & Excipients. Recommendations: Use as often as required. Suited for all types of skin. Avoid immediate exposure to sunlight. The Vit C content acts as a precursor in stimulating collagen production. An excellent choice for your plush signature treatments. Massage all over the body using alternating firm & soft strokes. Recommendations: Use as often as required. Suited for all types of skin. Avoid immediate exposure to sunlight. Best suited for Deep tissue or Sports Swedish treatments. It is effective in reducing fatigue & helps refresh the mind. Aloe Vera extracts & Excipients. Use & Benefits: Peppermint has strong antispasmodic and antimicrobic properties which makes it favorable in conditions like muscle spasms, joint pains etc. It is commonly used in skin care preparations for its cooling effect. 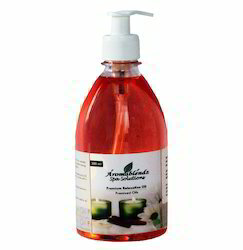 Ingredients: Hellanthus Annuus, Zae Maya & Mentha Arvensis. Excipients Caution:It causes photosensitivity, so sunlight should be avoided for several hours after applying products containing lemon oil to the skin. Most Suited for massages which focus on healing & recovery. Like Hot Stone Chakra treatment. Its soothing fragrance & muscle penetrating properties help relieve tension & trigger inner healing processes while realigning elements of the body. It is very effective in conditions like dry scalp, dandruff, thinning of hair. Regular application leaves the hair feeling soft, lustrous and shining. Take 15ml of oil & apply on hair evenly from root to tip. Massage scalp gently with fingers in circular strokes. For best results, keep overnight & tie hair in a hot towel before wash. Recommendations: Heat mildly before application. Bad hair day” is a regular phenomenon for most of us. The environment around us, with the pollution and dust play the role of reversing the quality and lustier from our already dry and damaged hair. This unique formula fortified with Pro- vitamin B5 (Panthenyl triacetate), traces of saw palmetto (DHT Blocker) and French lavender, vitalizes the hair from the roots, giving it softness, shine and bounce. Just a few applications will show the difference and regular use of the scalp treatment oil for a period of 16 weeks will get the required changes in the hair shaft structure.With a rich base of avocado and UN adulterated natural fragrance of French lavender this product comes as close to being in its natural form. Avocado (Persea Gratissima), Mineral base, Pro- vitamin B5 (Panthenyl triacetate), Saw Palmetto, French Lavender 0.35% and natural fragrances. The oil is a designed as a treatment base. Regular application is necessary to see the desired results. Saw palmetto is universally known to block conversion of DHT to potential harmful Alpha 5 which is responsible for destroy hair follicle and is the major contributing factor in androgenic alopecia. A condition responsible for male baldness pattern in men and hair thinning in women. Do not heat the oil. Avoid if creates irritation of the scalp. It is very effective in conditions like dry scalp, dandruff, thinning of hair. The application leaves the hair feeling soft, lustrous and shining. French Lavender 0.35% and natural fragrances. Store in a cool place and apply cool on scalp. Do not heat. Do not apply along with any other hair nourishing or conditioning treatment. 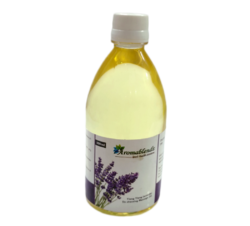 Looking for Aromablendz Premixed Oils ?